Mercy Nabirye works internationally in arts management, specializing in reviewing systems and strategies to support and strengthen creativity and artistic visions for organizations and individual artists. This includes change management, strategic planning, organizational and governance development, research and consultations for individuals, SME organisations and community groups in UK, Uganda and Canada. 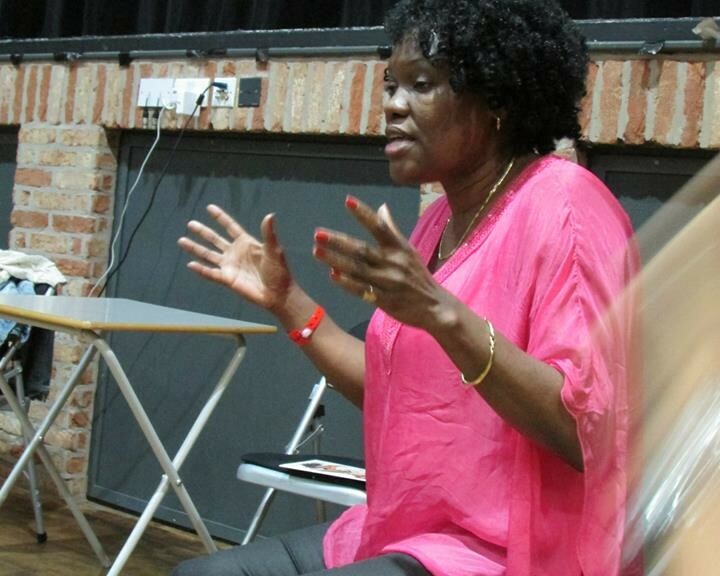 Mercy is currently Director for ADAD (Association of Dance of the African Diaspora) a national artist support organisation set up in 1994 to promote the practice and appreciation of dance rooted in the African Diaspora, raising its profile to be valued as part of the British Cultural experience. From 1st April 2016 ADAD will merge with 3 other organisations Dance UK, National Dance Teachers Association and Youth Dance England to become ‘;One Dance UK’ a new integrated body to support the Dance industry. During this tenure, she has steered the organisation to deliver national and international programmes at key venues like South Bank and The Place, including Bloom National Festival celebrating dance of the African Diaspora across the UK regions, Re:generations International conference – the only UK academic and artistic conference focusing on perspectives of the art forms and a professional development fellowship Trailblazerswhich tailors a mentorship programmed for future leaders for the dance sector. Previous leadership and management roles include work at Apples and Snakes, England’s leading performance poetry organisation; Creative Partnerships Kent (CP Kent), a creative learning initiative for Arts Council England; Future Creative CIC a social enterprise providing creative learning, professional development and community engagement programmes in the education, cultural, public, early years and youth sectors. Mercy graduated in performing arts in Uganda, East Africa and continued her studies in London UK, in Film and Video Production. Other training includes CIMA CBA Business Accounting Certificate, NLP (Neuro Linguistic Programming) and Clore Leadership short courses..
Mercy’s artistic background is as a performing artist, choreographer, producer and writer for stage and screen both in Uganda and the UK. She has toured and performed with an African Music band at major world festivals including Womad UK. She featured in musicals and films including the Hollywood blockbuster “The last King of Scotland”. She continues to engage in community initiatives involving African Dance, Drumming, Video film and Photography and is a member of key international organisations including International Association of Blacks in Dance (USA), Arterial Works (Africa), Dancing Strong (UK).